Bobby Humphery, drafted in 1984 out of the 9th round, was a speedy athlete from New Mexico State. 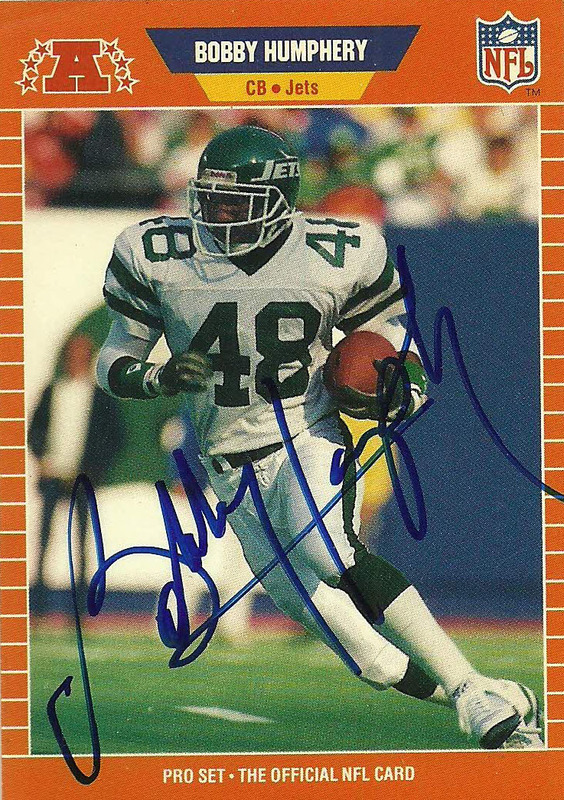 Initially he played wide receiver for the team, and starred on special teams as the Jets primary kick returner. 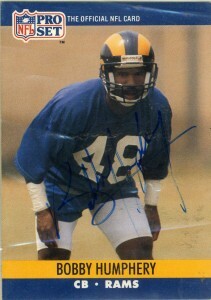 In 1986 he was converted to a cornerback, where he played the rest of his career. 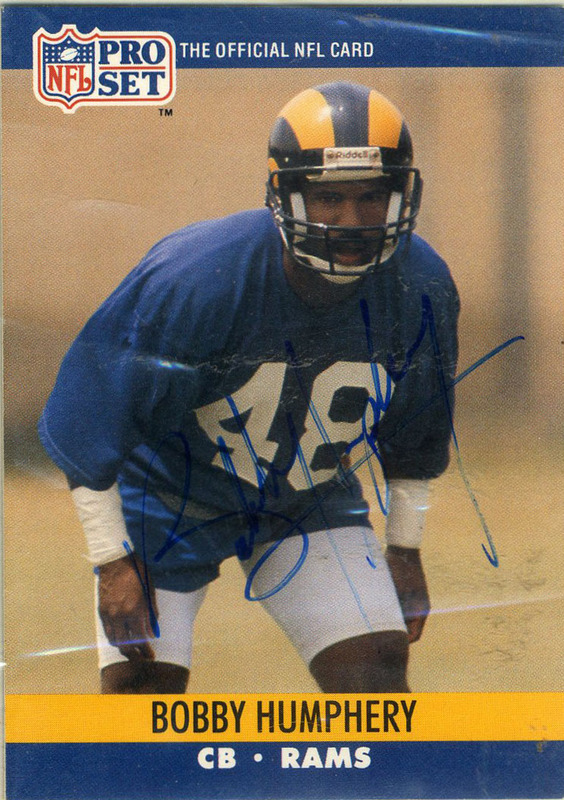 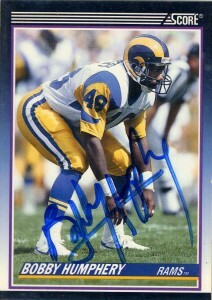 In 1990 he was signed by the Rams for one season, and in 1992 signed on with the San Antonio Riders where he played defensive back for the team. 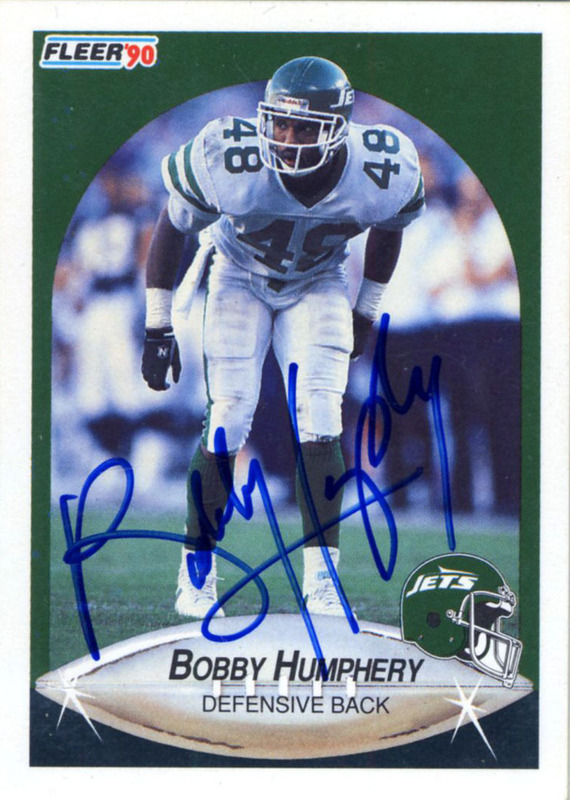 Humphery’s statistics are misleading as he had not only played in a utility status for the teams he was on, he also defensed a lot of passes (which are not tracked), and his statistics only cover his seasons with the Jets and Rams. Bobby is one of a select few of players in the NFL that has scored a TD on offense, defense, and special teams. 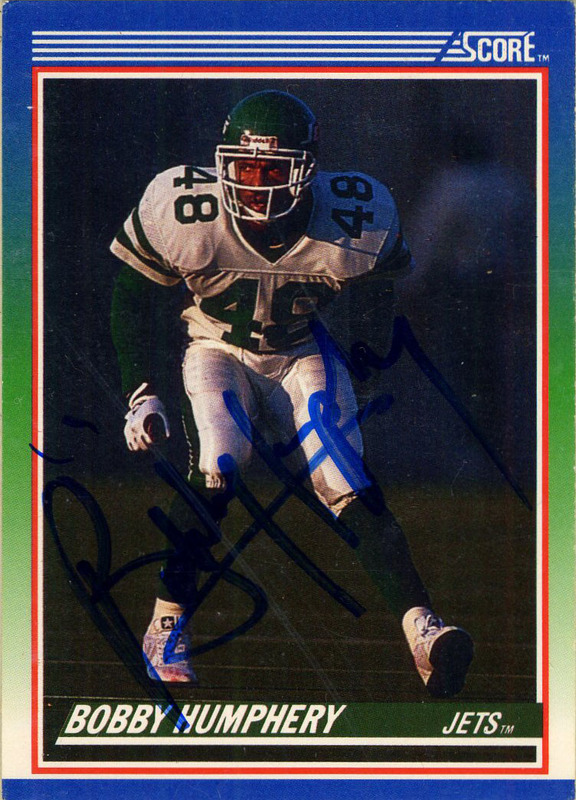 He made one Pro Bowl appearance over his career which would span 10 seasons with the Jets, Rams, Riders, Gold Miners, and San Antonio Texans. 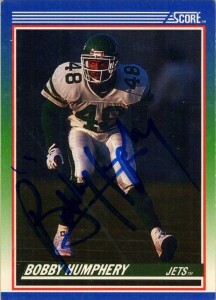 After a humid night game against the Birmingham Fire, I saw Bobby in front of the locker room exhausted from the game. I frequently would pack more than one card of a player, in the hopes that they don’t mind signing multiples for my collection. 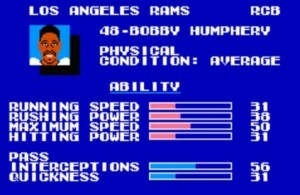 Bobby would sign all five for me.